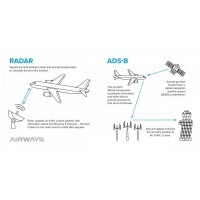 In July 2018 a new rule came into force, mandating ADS-B OUT above FL 245 and providing performance specifications for all ADS-B OUT equipment used in New Zealand. This rule applies to aircraft flying below flight level 245, if you’re installing a new ADS-B OUT system, or if you’re replacing an existing system. As part of the New Southern Sky programme, we are proposing to mandate ADS-B OUT in all controlled airspace from 31 December 2021. The CAA strongly encourages you to install ADS-B OUT as soon as possible to avoid a last-minute rush for equipment and the services of the Part 145 organisations. Now the performance specifications are in the rules, you can select a system that you know will meet the ADS-B rule requirements. I suggest you consider these FAQs and talk to your licensed avionics maintenance engineer to plan for fitting ADS-B OUT.